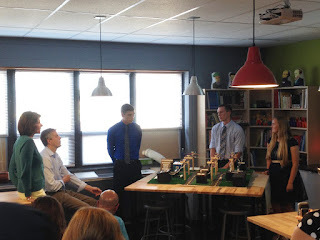 During the stopover, students showcased their STEM Learning Exchange Challenge project in which they developed a smart-grid energy system that would be able to provide power for the town and school. 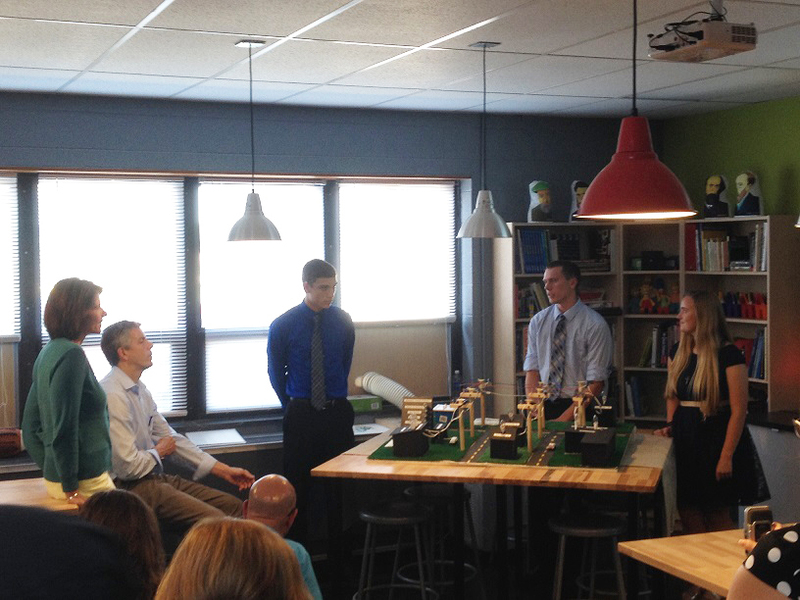 The students pointed out how the new technology resources and availability of 1-to-1 devices made the project possible. 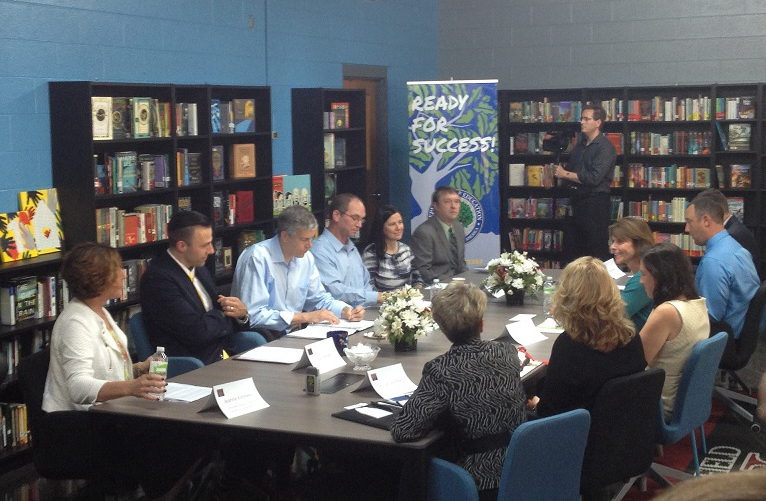 Later in the afternoon Duncan, Congresswoman Cheri Bustos, Illinois Secretary of Education Beth Purvis, and the Williamsfield administration and staff sat down for a roundtable discussion regarding the district's utilization of open educational resources. Williamsfield principal and director of student services Zach Binder talked about the transition from traditional textbooks to new, openly licensed materials. Binder said the school was faced with the opportunity to either purchase new textbooks or go in a different direction. They decided to invest textbook funds instead in updated infrastructure that would support more technology in the classroom. Purvis said that the state’s role is to learn what is working and adapt to new techniques and the tools available. 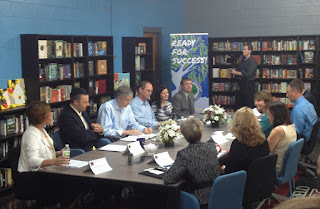 Secretary Duncan went on to talk about the importance of sharing success stories such as Williamsfield. The second Illinois stop on the tour gave Duncan an inside look at U of I’s Disability Resources and Educational Services (DRES) programs. The University of Illinois was one of the first colleges in the nation to offer educational programming for students with disabilities. During the university visit Duncan, Assistant Secretary for Special Education Michael Yudin, and Illinois Board of Higher Education Executive Director James Applegate held a roundtable discussion with students about the DRES programs and accompanying resources available to help them with their studies. The group also joined the men’s and women’s wheelchair basketball team for practice. In additional to the Illinois visits the “Ready for Success” tour made stops in Missouri, Iowa, Indiana, Kentucky, Ohio, and Pennsylvania. 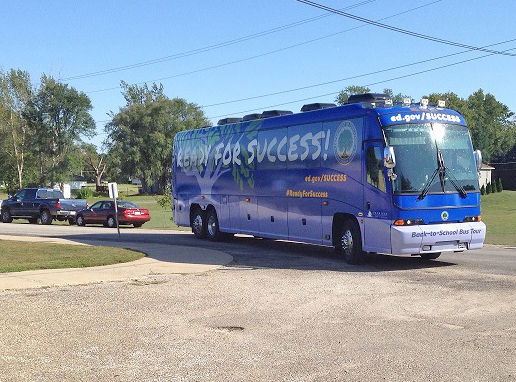 A video about the bus tour is available here, and updates from the tour can be found on Twitter at #ReadyForSuccess.